UPDATE: Winners have been announced – Congrats to all three! Thank you to everyone who participated, we’ve got plenty of good stuff coming soon! It’s back-to-school season and we could think of no better excuse to put together our latest, and best, giveaway. We’ve got a trio of wonderful goodies for you guys and gals, thanks to our most gracious friends at NVIDIA. 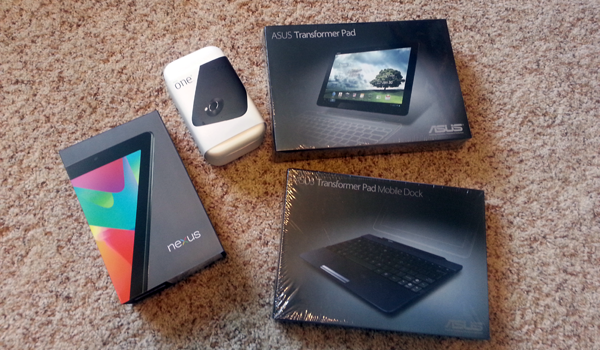 As you likely saw from the headline, we have an HTC One X (unlocked), a Nexus 7, and an Asus Transformer Pad (with dock) to give out. Yep – each and every one of these bad boys is cutting-edge stuff powered by NVIDIA’s Tegra 3 quad-core processor. We’re big fans of NVIDIA here at AndroidGuys and have really come to appreciate the performance that comes with their mobile processors. If you’ve ever experienced a game optimized for the Tegra 3 then you know why we love them so much. Haven’t tried anything yet? Get to the TegraZone right now and download a few, we’ll wait. If we could recommend a few to start, check out Riptide GP, Backbreaker THD, and SHADOWGUN. That is, of course, provided you love stuff like particle effects, real-life physics, and gorgeous lighting effect. Log in below and leave a comment. Say what ya want, but we’d love to hear what device you have your eyes on. Duplicate entries will be omitted and tossed out so don’t bother gaming us. 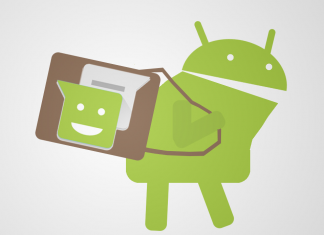 Follow AndroidGuys on Facebook and “Like” this post. We can’t tell you what to do, but we’d appreciate if you shared it as well. Follow AndroidGuys on Twitter and tweet “I wanna win a Tegra 3 device from @androidguys and @nvidiategra #AGTegra3“. Tweet as often as you’d like, we won’t hold that one against ya. We will randomly draw a winner from each of those three options on September 1, 2012. If you do not respond within 48 hours of notification then we will have to move on to the next person. Small, and unavoidable, stuff we have to disclose: Contest is open to U.S. residents only. One winner will receive one (1) brand new Google Nexus 7 ($200 value), one winner will receive a brand new HTC One X ($500 value), and one will receive a brand new Asus Transformer Pad and Mobile Dock ($550 value). These are promotional giveaways and neither AndroidGuys nor NVIDIA are responsible for warranties, customer service, or repairs. Each device comes with its own manufacturer warranty.